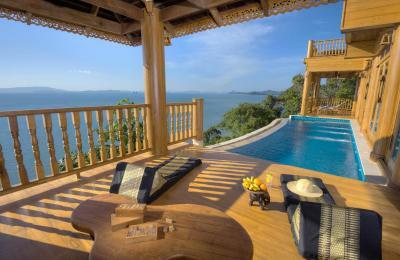 Lock in a great price for Santhiya Koh Yao Yai Resort & Spa – rated 9 by recent guests! The selection of food items on the breakfast menu was extensive with amazing fresh fruit readily available. The island location was secluded and remote and it felt like a blissful island retreat. Spacious surroundings, several restaurant options and different areas to relax, swim or participate in organized activities ensured privacy and seclusion. Staff were always so attentive and gracious. 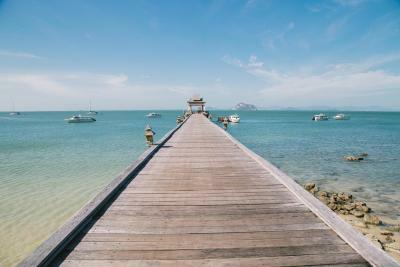 If you are looking for a relaxing spot away from the busy tourist spots in Phuket or Krabi I HIGHLY recommend Santhiya Koh Yao Yai. 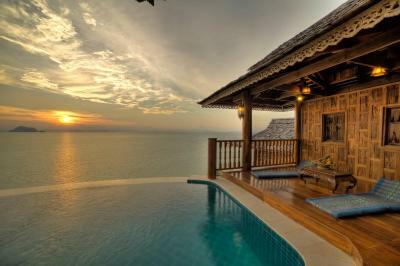 I stayed in an Ocean View Villa with a my own private infinity pool that was simply stunning. Stayed in ocean front room. Absolutely stunning, everything was perfect. 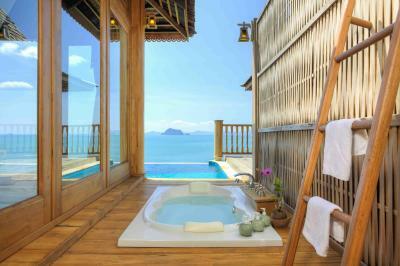 Loved the large bathtub on the deck overlooking the ocean. Super comfy bed and everything was very clean. Thai food in the Thai restaurant downstairs where the infinity pool is. The most beautiful resort that I stayed in my life. The service was excellent! The pools, the beach, the entire Island, the breakfast, the restaurants, the other guests! It was very clean, and absolutely beautiful. There was significant effort into making a genuine experience for all guests. Would absolutely go back. The views were breathtaking. We enjoyed the luxurious amenities and the buffet breakfast. My checkout was at 5 AM before breakfast time The hotel gave us a box of breakfast to have it during our trip to airport we really loved that ! 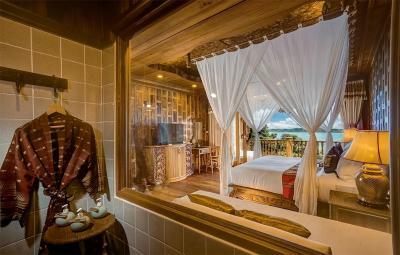 Santhiya Koh Yao Yai Resort & Spa This rating is a reflection of how the property compares to the industry standard when it comes to price, facilities and services available. It's based on a self-evaluation by the property. Use this rating to help choose your stay! 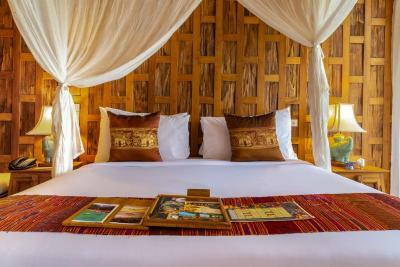 Located in Loh Pared Beach, Santhiya Koh Yao Yai Resort & Spa offers cozy accommodations. It features an outdoor pool and a variety of restaurants. Free WiFi is provided in the entire property. All rooms have air conditioning, a fridge and a balcony. Its private bathrooms come with shower facilities. Guests can relax at the spa or enjoy massage treatments offered at the residence. 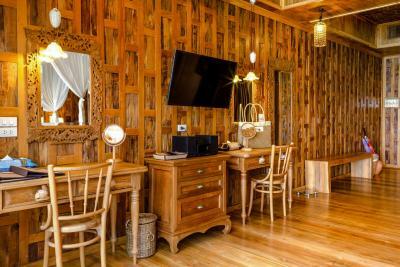 For guests’ convenience, there is a 24-hour front desk service and a tour desk to help guests with sightseeing tours. A 24-hour complimentary shuttle is available for guests to get around the resort. A selection of delectable Thai cuisines are offered at the resort's restaurant, Chantara. Guests can enjoy outdoor dining on the beach at The Titan Grill, which is open for all-day dining. 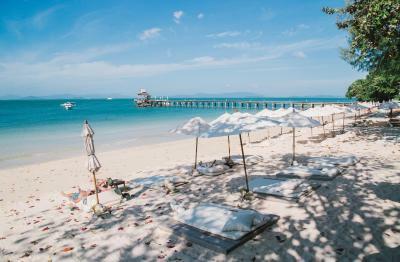 Located along the beachfront, By The Sea Restaurant & Bar serves a la carte Thai, seafood and international dishes. 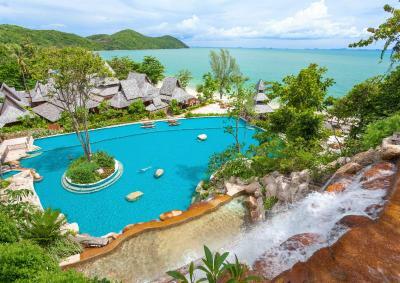 Other dining options include SaaiTara Reastaurant, located on the hill by an infinity pool, and Khantok Thai Cuisine. 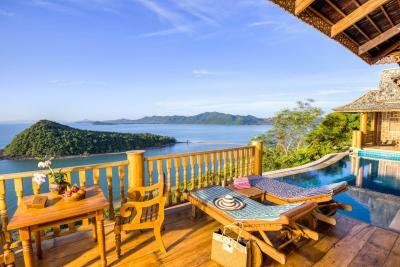 This property also has one of the top-rated locations in Ko Yao Yai! Guests are happier about it compared to other properties in the area. 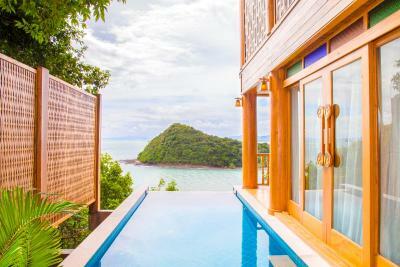 This property is also rated for the best value in Ko Yao Yai! Guests are getting more for their money when compared to other properties in this city. 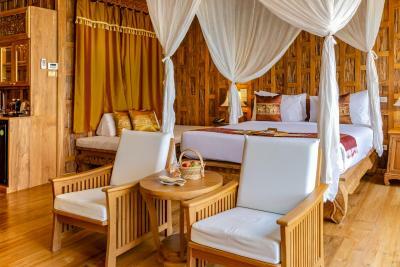 When would you like to stay at Santhiya Koh Yao Yai Resort & Spa? Suite features a private pool, a patio and an outdoor sunken bathtub. Offering 2 floors and separate entrances, spacious suite features two bedrooms and a living room. 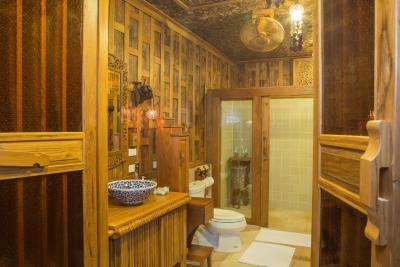 It has a private pool, an outdoor bathroom and a bathtub in a patio. Room features floor-to-ceiling windows that open to a large terrace. This double room features a balcony, DVD player and satellite TV. Room features floor-to-ceiling windows and large terrace with dining table. This villa features a balcony, sofa and seating area. This suite features a balcony, dining area and cable TV. 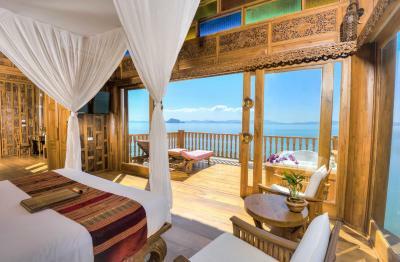 The eco-luxury resort comprises of 39 teakwood pool villas and 60 deluxe rooms that blend in perfectly with the natural surroundings and offers a rare, private stretch of beach frontage. 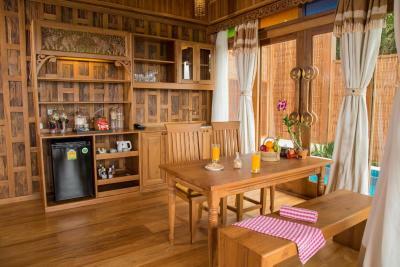 House Rules Santhiya Koh Yao Yai Resort & Spa takes special requests – add in the next step! 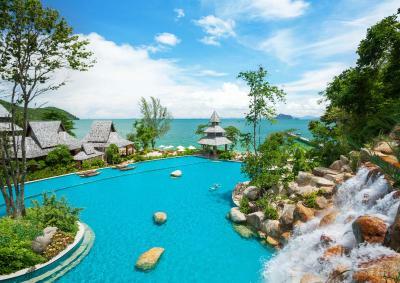 Santhiya Koh Yao Yai Resort &amp; Spa accepts these cards and reserves the right to temporarily hold an amount prior to arrival. Santhiya Koh Yao Yai Resort & Spa accepts these cards and reserves the right to temporarily hold an amount prior to arrival. For bookings made from 16 June 2017 onwards, a compulsory Gala Dinner is included in the room rates of 31 December 2019. The rates of the Gala Dinner are based on room type and occupancy (guests sleeping in extra bed and children in existing beds will be charged separately). 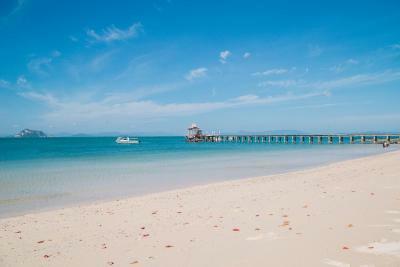 The resort provides an airport transfer by speedboat priced at an additional THB 1250 per person per way. To make use of this service, guests are to contact hotel directly with their flight details at least 3 days before arrival. Hotel's contact details can be found on your booking confirmation. Phuket (Ao Po Grand Marina) to Santhiya Koh Yao Yai: 09.00, 10.30, 12.00, 13.30, 15.00, 16.30 and 18.00 hrs. Santhiya Koh Yao Yai to Phuket (Ao Po Grand Marina): 08.00, 09.45, 11.15, 12.45, 14.15, 15.45 and 17.15 hrs. Private speed boat is available upon request at THB 10,000 for one-way transfer and is operated from 06.00 to 21.00 hrs. Reservation is required 3 days in advance or at the time of booking. Flight details are required 1.5 hours before speed boat departure. Please note that in the event of adverse weather conditions and/ or speed boat technical problems, all transfers will be made by ferry and/or by Santhiya Car. These transfer services offered by the hotel are nonrefundable. Private transfers on request are also available. The above schedule may change subject to flight arrival times or weather and sea conditions. Please present the same credit card used to guarantee your booking, together with a valid passport, when checking in at the hotel. Please note that the name of the credit card holder must be the same as the guest's name on the passport and reservation. Kids did not like sleeping in a different floor in the villa to parents. The pillow is too soft and no firm option to exchange. All staffs are friendly and helpful. Room and view are excellent. Breakfast is good. The driving back and forth to the room killed some of the authentic feel. Check out was a pain. Amazing place. The traditional atmosphere combined with modern comfort and service was spectacular. Great food and massages on the beach. Fantastic sunset from the infinity pool with excellent cocktails. The hotel is amazing! We had a grand pool Villa! View is fabulous! The best we ever had! Private pool and space outside fenomenal! Villa is big ; beds very comfy! Cleaning very good! Every day bottle water supply! Amazing place! 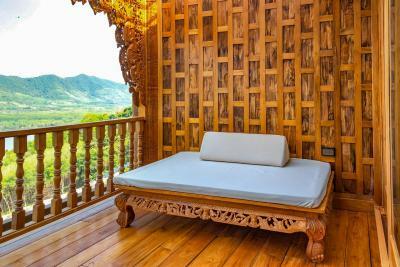 The villas are made Of wood; forest all around so the noise from forest birds and other animals during the night is amazing ( for people who loves nature)! Small lizards in the open air bathroom are lovely to see.... place is fantastic for people who love luxury in the nature and privacy ! Restaurants at the hotel excellent! Staff at the hotel The most polite ever met! Ambiance is great; next to the hotel on the beach great local restaurant! Delicious food! People in this island are amazing sweet polite and just so calm! We stayed 6 nights and then move to Phucket for few nights before leaving Thailand! Big regret we haven’t stayed at the hotel longer instead of phucket! Only one comment to the hotel;; clean the beach more often please!!!! Beach is nice but obviously not like empty beaches around phi Phi islands. However we did few trips to different islands which is very easy from the hotel! location is isolated , the person should pay for transfer and it’s over priced . take to much taxes for everything you buy from the hotels . the room and the view. breakfast good . We had a great time here. The staff was very friendly and helpful all the time and the breakfast was amazing. We loved the infinity pool and our room with the great view. But we have some things to add, just so you can get better :) - you get 2 bottles of water per Person each day, that's too much plastic. It would be way better to avoid plastic by using aluminum cans oder glass bottles of water. - there are a lot of cars driving around that area because of the long distances between the rooms and the reception and pool area (not good because of the pollution, there should be electric cars) - the prices at the pool are too expensive - you can use the pool just until 7, which is not very long - you have to give the pool towels back before 6:30, which is too early - there should be bigger warning signs at the beach, I got bitten by a jellyfish when I was in the ocean. When I got out of the water I could see the warning sign. It would be better if you can see it before going in the water. 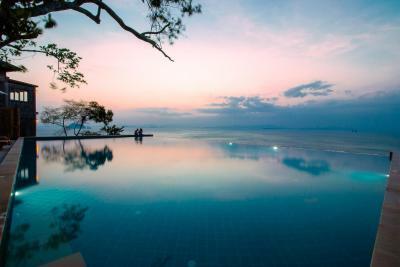 Little or no chance of getting a sun bed at the infinity pool (25 beds for hundreds of guests). Watch out for different prices for the same food at the hotel restaurants on the beach. Overpriced water. Wonderful views. unspoilt island. smooth airport transfers. The shuttle boat is mandatory, expensive AND not included (~60$ per person go and back). The checkin takes HOURS during which you have no idea what is happening. They only take a bit of this time to make you buy massages, but do not explain anything about the campus, restaurant, etc. Service is slow and not welcoming. You should run away from the restaurant, food is low quality and service is a catastrophe. The first night the theme was Italian food, when you expect delicious local food. The global ambiance is a bit cheap, between camping and club med style but with no success. Swimming pool areas are packed and small. The location is beautiful ! A lot of nature, great view on the bay. The SPA is very good, nice staff, good service and massage quality for a reasonable price. Good experience with the excursion boat (Khao Phi Phi). A bit expensive but a very good experience overall. The infinity pool is fantastic, yet not so so clean and with very little room for pool chairs. You shall wake up early to have one ! We had a room (not a house) which was nice and large, with great view.